The results of the BFI’s Sight & Sound magazine’s first ever poll to decide the world’s greatest ever documentaries are now in. 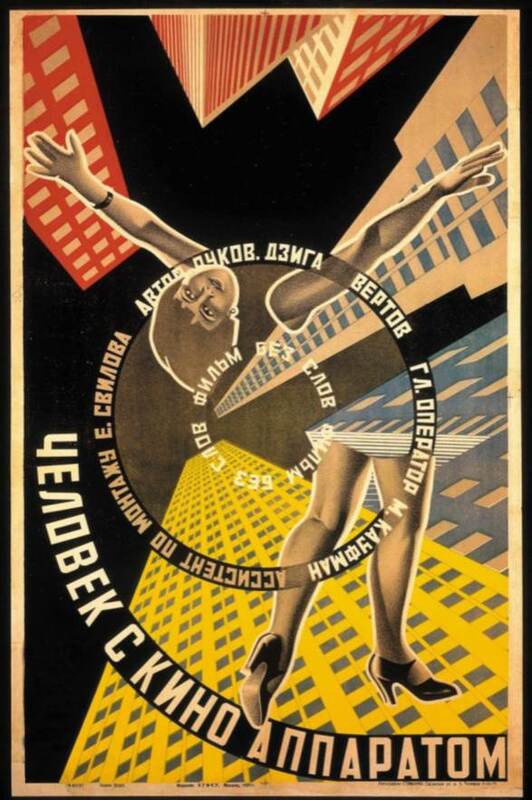 The winner of the title of Greatest Documentary goes to Dziga Vertov’s extraordinary silent film Man with a Movie Camera (1929), shot in the cities of Odessa, Kyiv and Kharkiv. Vertov created a film of dazzling beauty and bewitching complexity, which unleashed the camera in a teasingly surrealist fashion to capture everyday life in a unique and hugely influential way. The well-known Sight & Sound magazine poll of filmmakers and critics to decide the Best Film has taken place once a decade since 1952, with Hitchcock’s Vertigo receiving the most votes in the last edition in 2012. The vast majority of films nominated were fiction features although in the most recent poll Man With a Movie Camera came in at a surprising 8th place and was the only documentary in the Top Ten. Now, for the first time, the magazine has launched a poll to discover the greatest documentaries. Over 1,000 films were nominated by over 200 critics and 100 filmmakers from around the world; over 100 of them voted for Man with a Movie Camera. The poll report is released in the September edition of Sight & Sound. The full lists of all the votes received and films nominated will be available online from 14th August. Join the conversation at #BestDocsEver. Visit Sight and Sound magazine’s website.